Have you ever found yourself ACTUALLY searching for something of importance on the Internet just to realize you are two hours deep and still do not have an answer? Perhaps it was because you logged into Facebook (the demon of distraction) and clicked a few pictures and videos of friends. Maybe you clicked the wrong button and ended up on another page with information you thought was what you wanted; it was not. Another idea is that you just can’t find it (come on, everything is online these days, search harder). 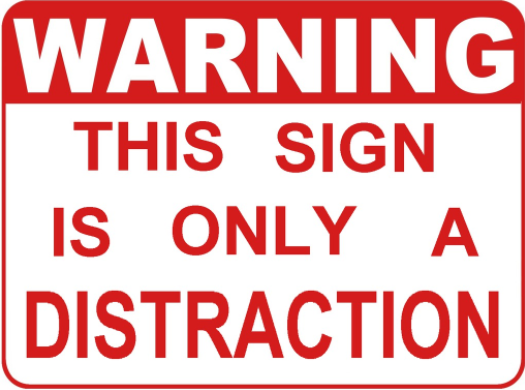 The bottom line is that distraction and taking your clicks and attention to other places is exactly what needs to be done in order to succeed in MLM or Internet Marketing. Look, I know that sounds awful but let us break it down for you. What is the point and purpose of Internet Marketing? To market on the Internet (thanks for that amazing definition). It is to, in some fashion, make money online or to get the audience (web user) to do what you want them to do; like subscribe to your newsletter. With that said, do you think people are Googling, “Newsletters to subscribe to” or anything of that nature? NO. Hence where the distraction and mental manipulation come into play. Your attention needs to be diverted to what we want it diverted towards. Fancy graphics, scandaliciously clad women & men, and the usual auto-play video are the usual go-to’s in this world. DISTRACTIONS = MONEY. You do not need to login to Facebook to grasp this next concept. You already know it based off the explanation that I am about to give you. You are scrolling through your news feed and what do you see, “Top 20 Things You Did Not Know About The TV Show Friends.” Of course you click it! You have seen everything from Ross & Rachel’s relationship debacle all the way to when Monica and Chandler got married… so why did you click it? The suspense, the knowledge, the potential hilarious outcomes: all of those amazing positives that might come from it, right? You just got hustled through a distraction. Clicking that link will, in no way, shape, or form, lead your life to a better existence, more happiness, or any kind of income. The Internet Marketers just won. Know why? Not only did they distract you but they got paid for your click on that link. Then, when you wanted to see the number 2 of 20, you click another button. Then for 3 of 20, another button to click. By the end, you have clicked over 20-30 times and they are getting paid for each one. That is just the tip of the iceberg. That same site you are on is also riddled with Ads, bonus coupons, free offers, and (of course) some sort of mailing list to subscribe towards. Don’t forget about those Ads that popup on a 3 second delay right where you wanted to click until it showed up = they win again. Internet Marketing is no joke and goes much deeper than anyone thinks or wants to admit.